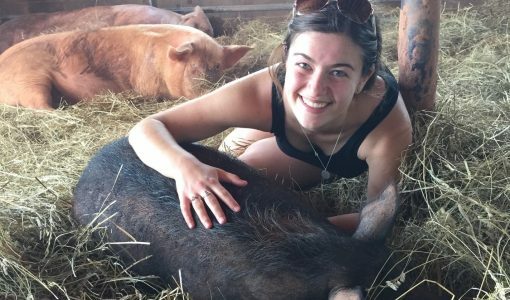 I graduated from my undergraduate program, and spent the summer working as a Policy Intern with the Farm Animal Protection Campaign at the Humane Society of the United States (HSUS). 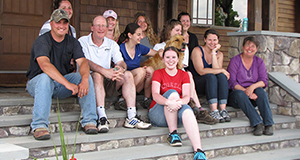 I wanted to pursue a degree that would help me become a better advocate for animals. The MAPP program seemed like it would assist me in developing better communication skills as well as further my understanding regarding animal policy. During high school I spent a summer working at an animal protection/rehabilitation center. After I entered college, I discovered my passion for farm animals. Since then, I have volunteered with Farm Forward, interned at HSUS, and worked part-time with Shamayim V’Aretz, an organization that ties together Jewish ideals with animal welfare. Part of my job involves assisting team members with research projects. I have used the skills I learned throughout the program in research methods courses and while conducting my final research project to help me in my current position. I enjoyed getting to meet so many wonderful people and making lifelong friendships. Being in the Boston area allowed me to participate in great networking events and attend informative conferences where I developed relationships that helped me move forward in my career. Education is meant to challenge you, and it will. It’s important to always keep an open mind, but never stop fighting for what you know in your heart is right.